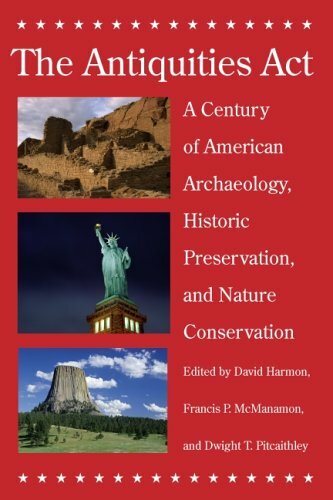 Authored by professionals intimately involved with safeguarding the nations archaeological, historic, and natural heritage, it describes the applications of the act and assesses its place in our country's future. With a scope as far-reaching as the resources the act embraces, this book offers an unparalleled opportunity for today's stewards to reflect on the act's historic accomplishments, to remind fellow professionals and the general public of its continuing importance, and to look ahead to its continuing implementation in the twenty-first century. Francis P. McManamon is Chief Archeologist, National Park Service, Departmental Consulting Archeologist, Department of the Interior; Manager, Archeology Program, National Park Service.Andrew Stout, Eastern Regional Director, The Archaeological Conservancy.Jodi A. Barnes, Department of Anthropology, American University. Antiquities Act Monuments: The Elgin Marbles of Our Public Lands?